When I first started collecting comic books, I didn’t have a special box for “valuables.” I just stored all of them in a big empty wine box in the basement of my parent’s house. I usually bought all of my comics, new, from the local candy/tobacco shop in my neighborhood, but every once in a while, I would go to my favorite collectible store on a Saturday afternoon, and either beg my mom or use my allowance to get a back issue. These comics were so “old” that when I bought them, they came with their own bag and board. Those comic books received much more respect than the new ones I got at the candy store – which partially explains how a comic like ASM #147 survived nearly 25 years in my “collection” but an issue like ASM #300, which I remember buying brand new at said candy store, inevitably had to be replaced because my 7-year-old self just didn’t understand a thing about preserving a comic book that didn’t already come with its own bag and board. I’m not 100 percent certain if ASM #147 is the first back issue of Spider-Man I ever purchased, but I have reason to believe that it is. For starters, when I first started to assemble my Spider-Man collection in junior high school, I remember rummaging through that old wine box and picking out all the copies of ASM that I owned and #147 was unquestionably the oldest issue in that box. Most of the other issues I owned were between 1987 and 1989, which makes sense since those were the first few years I started buying comic books. 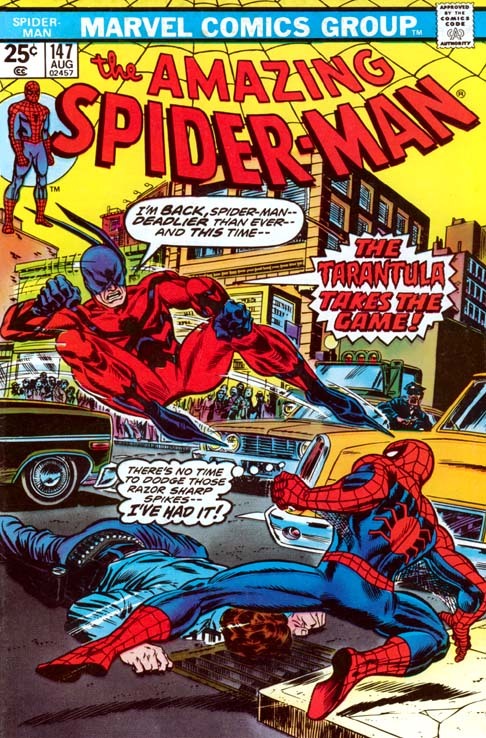 ASM #147 is of course from 1975, years before I was born. Looking at it when I was young, I remember thinking it was some kind of ancient relic with its 25 cent price-tag and its overall “old” look and feel (and smell) to it. And anything that was old, I equated to being “valuable.” My father’s stories of owning a treasure trove of expensive baseball cards from the 1950s that his mother then threw out when they moved from Brooklyn to Long Island were fresh in my brain. I was going to hold on to this copy of ASM #147 for as long as I could and not repeat the mistakes of my father. A few years later, the fact that I managed to hold on to this issue became significant, though the reward was not as great as I had hoped. 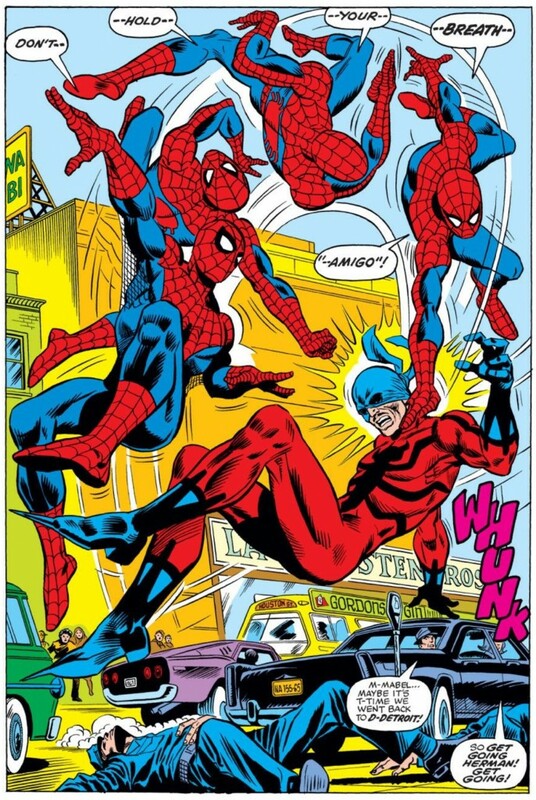 Those familiar with ASM #147 may note that it’s the first installment of a three-part arc that ultimately introduced Spider-Man’s clone, Ben Reilly, to the Spidey universe. 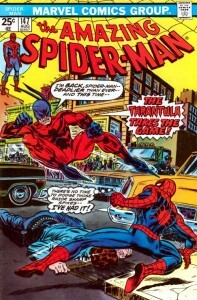 When the Clone Saga was in its heyday in the early 1990s, the first appearance of Reilly became a highly coveted issue. 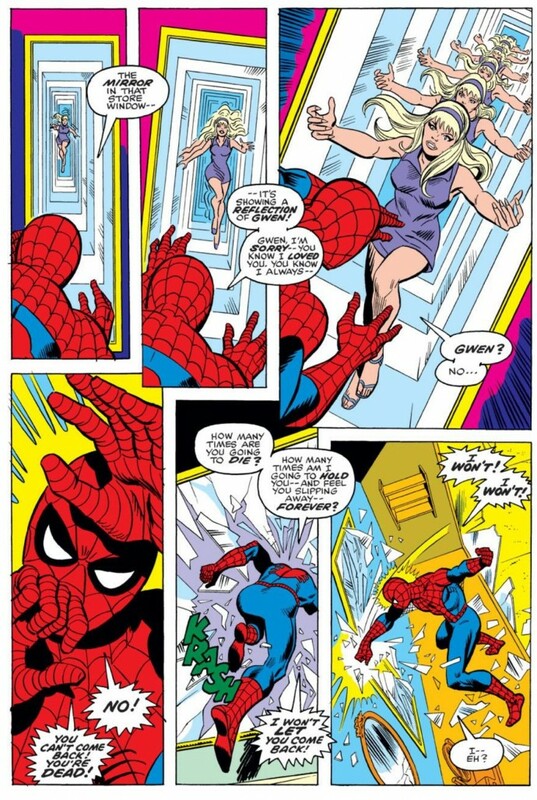 Sadly, ASM #147 does not contain the first appearance of the clone – that wouldn’t happen until two issues later. 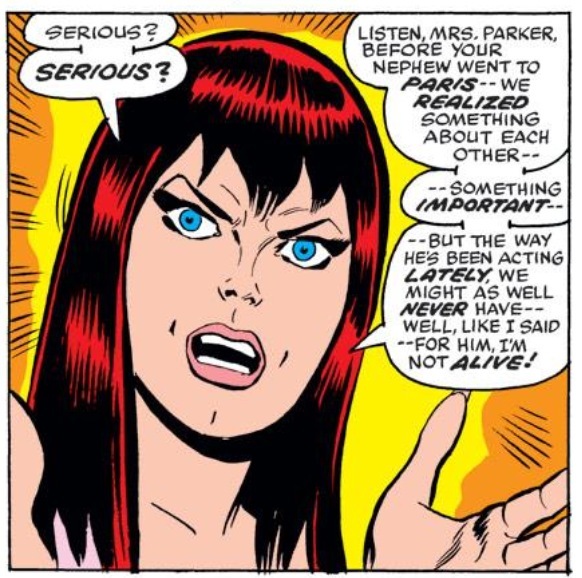 But interest was still high in this entire arc during the Clone Saga, so owning ASM #147 was akin to having a Powerball lottery ticket with three numbers matching. Definitely not a jackpot, but certainly not something I was going to squelch at. Regardless of the comic’s value, there’s just something about ASM #147 from a content perspective, that I’ve always held near and dear. The featured villain, Tarantula is certainly no A-List villain, but I always thought he was a great concept for a foil to Spider-Man – someone who harnesses Spidey’s speed with the added attraction of venom tipped spikes at the ends of his feet (that’s such an obvious weapon for a Spider-Man villain, I’m shocked they didn’t recycle it when they introduced “Venom” 12 years later). And the ending is as good as a cliffhanger as you could ask for in a comic book. 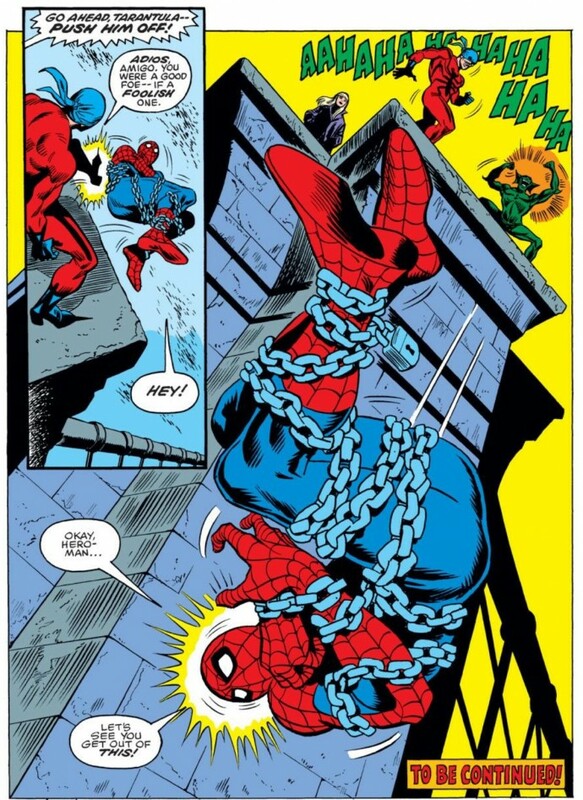 I just remember being so frustrated by the fact that Spider-Man had just been tossed over the side of a bridge while being tied-up in chains, and there was no way for me to see how he got out of it unless I was able to scrounge up a ton of allowance and then find a comic book shop selling ASM #148. And the fact that I still own this issue – well, the issue I originally purchased all those years ago, makes me proud of my 7/8-year-old self for being able to read this comic book over and over, and yet still show it enough respect to return it to its bag and board and leave it be. While ASM #147 would never be mistaken as some highly sought-after collectible, I guarantee that my copy is worth 10-times as much as any of my “valuables” from my old shoebox of baseball cards.